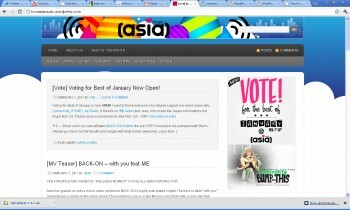 We have a new affiliate: Love[asia]Music! It all happened so quickly so I didn’t get a chance to make a post about it till today, but as per the title, we do have a lovely new affiliate called Love[asia]Music! 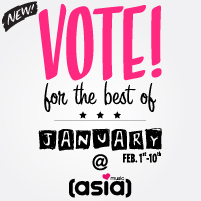 Love[asia]Music is a website by Jae and Jean and is all about the best music from – you guessed it – Asia! I personally love the design and the logo (doesn’t it just make you happy?) and have discovered many new songs that I like on their website. It helps, of course, that they are also BACK-ON fans! And before I forget, Jae mentioned that they are running a Vote for the Best of January 2011 (Japan and Korea) between Feb 1st and 10th (the list includes BACK-ON‘s TELL ME!) so please remember to pay them a visit and cast your vote – ideally for our favourite band! BACK-ON’s “with you feat.Me” climbs the Oricon Singles charts to #5! Watch BACK-ON’s “TELL ME” PV online! New affiliate and some site updates, including the Music page!